Ok, first off, a mea culpa. I have thumbed my nose at the Chromebook since its launch. I thought it was pointless considering how Android was launching its tablet OS (4.0 Honeycomb) and my Asus Transformer had a detachable keyboard, 15 hours of battery life, and a touchscreen. I thought the Chromebook was silly and would die a similar death as other products that arise at Google. This did not come true. 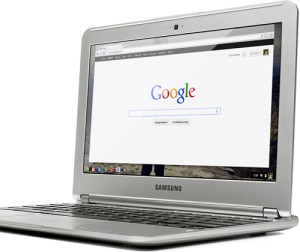 Currently Chromebooks are being manufactured by Samsung , Lenovo, HP, and Acer . Google still made a mistake. Let’s give a nod to the inventor of the idea, Mr. Jeff Hawkins. Does this mean that Windows RT has a future? Is the future of computing disposable and temporary devices? The mistake is very simple. For some bizarre, unknown reason, Chrome works on an ARM processor Chromebook just like it does on Windows or OS X, but does not on Android. Getting Chrome to work well has been a labor of frustration on Android and it has only seemingly been pushed forward by Opera, Dolphin and Firefox driving them. There must be a political battle, competing agendas, or something within elGoog keeping sensibility out of the equation. It appears to me that the Play store and the Chrome web store could have been merged over a year ago. We could be running the full Chrome browser as an option on our tablets or Phablets and the marketplace would be simple. “Chromebooks” could be more functional because they would have access to all the tablet apps, developers would be happier, customers would not be confused, and marketshare statistics would not be diluted. I don’t see any losses here. Lets hope this comes together soon. 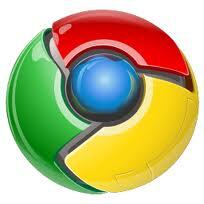 Jelly Bean is wonderful, Chrome OS is wonderful, it seems logical that the two should become one. Most people have no idea the Palm Foleo ever existed. Let’s rewind to May of 2007 when the Foleo was announced by Palm. You can read the initial information here. 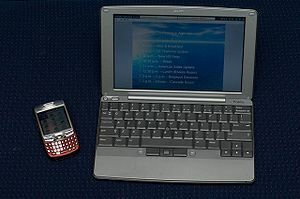 Remember, this device not only predates Chromebooks, it was what inspired the Netbook genre in the first place. It is really clear to me that this device was on target and it would have been wildly successful. All that can be easily tracked by looking at the sales numbers of Netbooks for the following few years. I am not going to add all the links here but I will provide a link to the search. The device was killed by a lot of smart people who lacked vision. I would encourage you to read some of the articles. PC Magazine, Gartner, Tech blogs galore, all panned the device as a fool’s errand. Unfortunately for Palm, their leadership caved and abandoned the man who dreamed their company up in the first place. I bet they all regret that decision looking back, Palm is but a fading memory and with it many fortunes. This amazing device was instant-on, had long battery life, was inexpensive, synced docs and history with the cloud, had an app store, sound familiar? The guy is possibly the single most influential thinker in mobile computing history. And he works in technology part-time to fund his real obsession, brain research! The shame is that he is rarely mentioned in the same breath as Gates, Jobs, Schmidt et al. He has innovated as much as anyone in the last 20 years. I cannot imagine that the words “Chromebook” crossed anyones lips when Microsoft was discussing their target market. Bear with me as I make the connection. iPads and Android tablets are simply pdas/smartphones with really big screens. The devices and the OS they use spring from the “data bucket” concept. Their “orientation” is based on media consumption, not media production. Windows devices will always spring from a production mindset. Ingrained in the DNA of Microsoft is the utility of the computer. Creation of content has always been the focus of desktop and laptop computers running Windows, Linux, or OS X. Windows RT is a cloud focused, touch based representative of this ethos. The Chromebook springs from the utility of the browser and web apps. Its premise is that all of life can exist in the cloud and production takes place in the browser. This is more akin to Windows RT than Android. I think I may have answered my own question I posed above. This may be why Chromebooks remain divergent from Android tablets. All the same I am irritated with Google for making my life complicated. So with the connection made and the marketplace accepting the Chromebook , does that mean Windows RT has legs? I think it very well might but it remains to be seen whether Microsoft is really willing to bet its future on it. I believe if they do, they might have a chance to remain relevant. 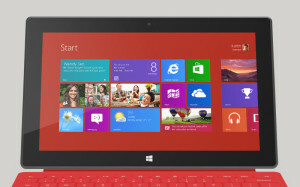 If they focus entirely on Windows 8 proper and its future brethren then I think they will devolve into obsolescence. Windows RT , in my estimation, is the only competitor that Chromebooks have. Only time will tell if Microsoft will place that bet. Those of us that have been in the industry for a couple of decades understand the cyclical nature of technology. As I have written before, this is often in response to the same physical constraints being hit time after time. For the computer to be disposable, all data must reside in the cloud and they must be very inexpensive. Currently we are on swings for both of those things to be true. We have not hit the bottom of the barrel in cost of devices, because we have not yet approached the raw materials + production costs. We are also on a swing for all data to be stored in the cloud. When you look back at the past you can see the progression. Computing started in the mainframe, moved to pc’s, swung back to client/server, moved to web devices, and now is moving to the cloud. The next step will be driven by yet unknown pressures solved by unknown technologies. For at least a time we will see the value of computing become more intrinsic to our lives but cost us less money, heartache and worry. A nice time to be using computers. This article was written, researched and published on a Samsung Chromebook . I could have done this on a Surface RT just as easily. This Chromebook is a great tool that I do not have to worry about compared to my top of the lineZenbook . For a day’s work it functions just as well. THAT is amazing.